I teach and do scientific research in the fields of artificial intelligence, robotics and human factors engineering. I am head of the Applied Artificial Intelligence Laboratory in the Discipline of Information Technology, Mathematics & Statistics. I’ve studied psychology, computer science and engineering for over forty years. During this time I’ve designed and built many artificial intelligence programs and robots, including the BEELINE natural language understanding agent, a walking biped (Tarbaby), an innovative floor cleaning robot (CURI5), a hexapod (Mascot), the CG-FGP system for computing with emotions and an experimental Programming by Demonstration learning program for eye-hand manipulation in robot workcell. My current projects include the NXT field robot and atmospheric sampling using drones. I expect to be developing agricultural service robots in the near future. I teach the undergraduate Intelligent Systems and Human-Computer Interaction units, and the postgraduate Human Factors in IT unit. I am the Chair of the Honours program within the IT Discipline. I currently supervise two postgraduate students, one working on pollution monitoring instrumentation for drone air sampling and another on generating natural language for an automated pyschotherapy agent. Another PhD student of mine recently completed his thesis in robotics – so I am now looking for other keen robotics students. BSC150 What is Science – undergraduate breath unit on the philosophy of science, taken by all Bachelor of Science students. ICT319 Intelligent Systems – undergraduate artificial intelligence unit. This is also taught as an articulation in Singapore. ICT396 Human Interface Design – undergraduate topic about basics of design and construction of interfaces for computers and computerised machines. This is also taught as an articulation in Singapore. ICT576 Honours in Information Technology Literature Review – Honours unit requiring students to develop a complete literature review as part of their thesis. ICT612 Human Factors in Information Technology – a collection of advanced readings in interface design, social impact of advanced technologies, including a “future interface” design project. I’m interested in all kinds of artificial intelligence and many aspects of cognitive psychology, but I’ve had to restrict myself to only a few sub-areas to avoid spreading myself too thinly! Conceptual models for natural language understanding. A long-time interest in and contributor to the literature on conceptual structures, especially for language comprehension, has stayed with me. I have built up an an elaborate software system based on conceptual graphs that can read paragraph- length texts, perform simple commonsense reasoning, and produce simple textual output. Recently, I have used this as the basis for experiments computing with and using language about emotions. 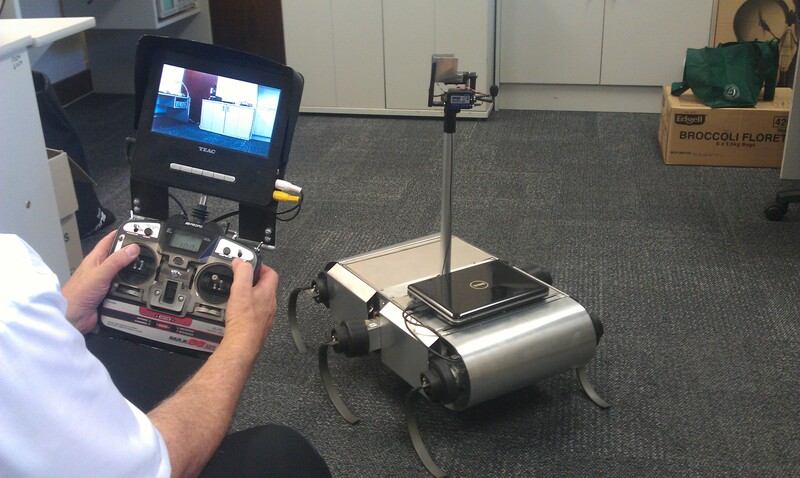 Teleoperated field robots for maintenance tasks. Research students and I have pursued the idea that teleoperation of working field robots should give way to more and better automation if the machines are to reach their full potential. One experiment in the Applied AI Lab concerns the Corobot, a small wheeled machine which has been modified to allow it to serve as a test platform for our ideas about adjustable automation. These include the novel idea of ‘assigned responsibility’ in which a goal-accomplishment plan forms a shared representation of a task between a robot and its human operator and on which an explicit work contract clearly assigned responsibility for tasks between the human and automated functions within the robot. This implies a special new kind of interface which is designed to reduce mental stress and free the operator from the need for continuous supervision of the work. Mascot is a field robot which which I have been developing for several years. This six-legger continues my interest in legged mobililty as an alternative to wheels, especially in very rugged terrain and of applying robots to the task of maintence at remote, difficult or dangerous work sites. There are a good many issues concerning the operation and practicality of such a machine and how well it can be remotely controlled, even before we come to the question of automating the machine so it can become more independent of direct human supervision. Needs a good student to take an interest in it and develop it further! UAVs for Air Pollution Monitoring. Murdoch University is investing heavily in drone technology. I am working on a number of projects aiming to develop this technology for use in scientific applications, such as with PhD student Goruck Soubons with his air pollution monitoring and precision agriculture with the State Agricultural Biotechnology Centre. The university now owns several multirotor aircraft, and I hold a CASA license to fly them. 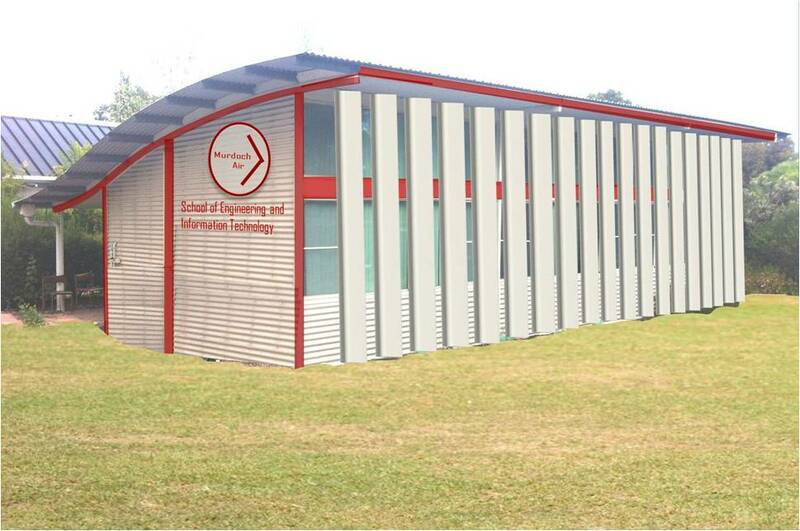 We have now refurbished a building for our new Drone Research Facility, where development of our science projects will be conducted. Murdoch University is also looking into the possibility of a “drone hub” – a centre for commercial drone development – to be based at Murdoch’s Whitby Falls Farm. NXT Robot. I am currently building a new robot designed to try out some of the latest ideas in teleoperation and machine learning. 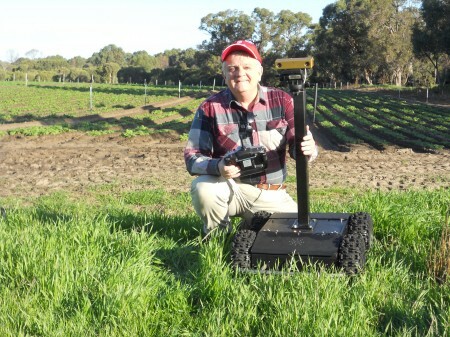 The robot will likely find applications in the monitoring and treatment of plants on farms. If it develops as expected, the first experiments will test the new Visual Teach & Repeat method for getting the mobile machine to target locations after only one manually guided trip there. Later experiments will try to extend this one-trial learning to simple manipulation tasks, using a pair of lightweight 7-DoF arms. Natural Language Generation for Automated Psychotherapist. In work with DIT student Beena Kishore, I find myself returning to the field of natural language processing after being out of the game for many years. Beena is developing sophisticated methods of natural language generation for an automated pyschotherapeutic agent, which can respond to both the conceptual content of utterances and the emotional state of the patient. 2010 Murdoch Research Capacity Fund (with G. Bell) 07177 “Building A Cross-Disciplinary Applied Artificial Intelligence Group”. This $27,000 grant has established and equipped the Applied Artificial Intelligence Laboratory within the School of Engineering and Information Technology. 2003 ARC Linkage Grant (with A. Turk & D. Varan) LE0347194 “Interactive Television Audience Research Laboratory: Infrastructure, Equipment”. This $411,000 grant established the Audience Lab at ITRI, by providing for major equipment purchase installation and testing. ‘A Natural Language Generation System for Patient Theory’ The aim of this work is to create a language generation system that can produce well-formed English sentences make appropriate responses in therapeutic conversations dealing with human experiences of some complexity. In particular, the system will be capable of dealing with expressions with emotive content, a neglected aspect in this field. 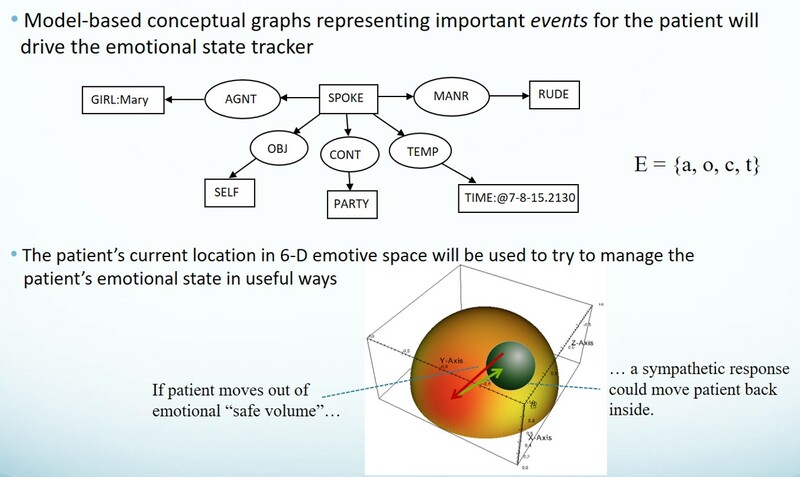 It will develop the notion of affective-model-based adaptation of high-level expressive forms to select and customise the content from a conceptual graph knowledgebase by an emotion tracking model and a biographical profile of the patient. ‘Enhanced Field-sampling and Investigation of Emissions from Blasting Operations in Mining’ In an effort to reduce the environmental impact of toxic chemicals from explosives used in the mining industry, this project involves flying instrument-bearing drones through the smoke clouds to sample the substances formed. These samples will then be analysed to better understand the unfolding chemistry of explosive reactions. Engineering Masters Student Aubrey Cason graduated in 2018 after completion of his thesis entitled ‘An Investigation into the Design of Rotorcraft Controllers for Low Density, Low Pressure or Extra-terrestrial Application.’ This described aerodynamic experiments aimed at designing a small rotorcraft capable of flying in the atmosphere of Mars. ‘Towards a Unified Methodology for Supporting the Integration of Data Sources for use in Web Applications’ This work aimed to create a unified top-down data integration methodology instantiated with a framework that can aid developers in their integration process. It could act as a scaffold to support the specific technical approach chosen for the integration process. The framework was to assist in the integration of data sources to support web application builders. The thesis presented the rationale for the framework based on an examination of the range of applications, associated data sources and the range of potential solutions. The framework was evaluated using several case studies. PhD student Nicolas Small graduated in 2016, with a thesis entitled ‘Assigned Responsibility: An Architecture for Mixed Control Robot Teleoperation’. This developed a new model for the adjustable teleoperation of robots, based on an explicit allocation of tasks, shared between the human operator and the robot, guided by their respective skills and capabilities. To accomplish this, every task the robot is requested to perform needed to be broken down into simple sub-tasks, which then can be allocated. These ideas were formally tested in experiments using a real service robot and operators in simulated maintenance task scenarios, demonstrating their feasibility empirically. PhD student Richard Adams graduated in 2013, with a thesis entitled ‘The Advanced Data Acquisition Model (ADAM): A Process Model for Digital Forensic Practice’ Evidence relating to computer crime is significantly different from that associated with the more “traditional” crimes for which there are well-established standards, procedures and models. This thesis developed a new process model for digital data acquisition that addressed both the practical needs of practitioners working in different areas of the field and the expectation of law courts for a formal description of the process undertaken to acquire digital evidence. Mann, G., (2006),Design Construction and Test Operation of an Analog,In: Pressurised Planetary Exploration Vehicle, American Astronautical Society (Univelt, Inc.), pages 237 to 252. Mann, G., Wood, N., Clarke, J., Piechocinski, S., Bamsey, M., Laing, J., (2005),Comparative Field Test of Pressured Rover Prototypes,In: Martian Expedition Planning, American Astronautical Society (Univelt, Inc.), pages 313 to 327. Mann, G., Persaud, R., Clarke, J., (2005),Expedition One: A Mars Analog Research Station 30-Day Mission,In: Martian Expedition Planning, American Astronautical Society (Univelt, Inc.), pages 53 to 89. Small, N., Lee, K., Mann, G., (2018), An assigned responsibility system for robotic teleoperation control,	International Journal of Intelligent Robotics and Applications, 2, 1, . Adams, R., Hobbs, V., Mann, G., (2013), The Advanced Data Acquisition Model (ADAM): A Process Model For Digital Forensic Practice,	Digital Forensics, Security and Law. Journal, 8, 4, pages 25 - 48. West, M., Clarke, J., Laing, J., Willson, D., Waldie, J., Murphy, G., Thomas, M., Mann, G., (2010), Testing technologies and strategies for exploration in Australian Mars analogues: A review,	Planetary and Space Science, 58, 4, pages 658 - 670. Mann, G., Bernsteins, I., (2008), Digital television, personal video recorders and media, automation, data and entertainment convergence in the home,	International Journal of Arts and Technology, 1, 2, pages 198 - 214. Mann, G., Clarke, J., Gostin, V., (2004), Surveying for mars Analogue Research Sites in the Central Australian Deserts,	Australian Geographical Studies, 42, , pages 116 - 124. Mann, G., Wood, N., Clarke, J., Piechocinski, S., Laing, J., Bamsey, M., (2004), Comparative Field Test of Pressurised Rover,	British Interplanetary Society Journal: the scientific space journal, 57, 1, pages 135 - 143. Mann, G., Wood, N., Clarke, J., Piechocinski, S., Bamsey, M., Laing, J., (2004), Comparative field tests of pressurised rover prototypes,	British Interplanetary Society Journal: the scientific space journal, 57, , pages 975 - 979. Mann, G., Oatley, G., (2017),Positive Design of Smart Interactive Fabric Artifacts for People with Dementia,In: IEEE Conference on Serious Games and Applications for Health. Mann, G., Cason, A., Parlevliet, D., (2017),Experimental Design of a Small Mars Rotorcraft,In: 68th International Astronautical Congress (IAC 2017). Adams, R., Mann, G., Hobbs, V., (2016),ISEEK, A Tool for High Speed, Concurrent, Distributed Forensic Data Acquisition,In: 2017 SRI Security Congress. Mann, G., Oatley, G., (2016),Positive Design of Smart Interactive Fabric Artefacts for People with Dementia.,In: IEEE Conference on Serious Games and Applications for Health. 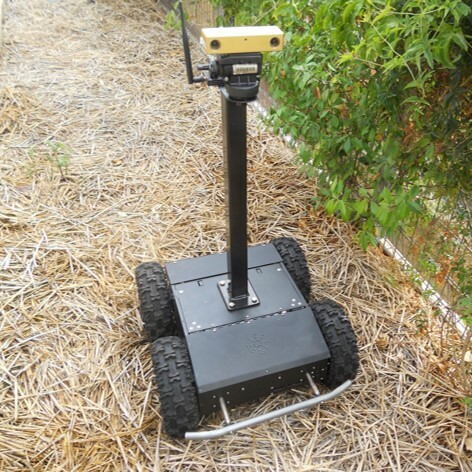 Mann, G., Small, N., Lee, K., Clarke, J., Sheh, R., (2015),Standarized Field Testing of Assistant Robots in a Mars-Like Environment,In: Towards Autonomous Robotic Systems 2015. Lee, K., Small, N., Mann, G., (2015),Adaptive Planning for Distributed Systems using Goal Accomplishment Tracking,In: Australasian Symposium on Parallel and Distributed Computing (AusPDC 2015). 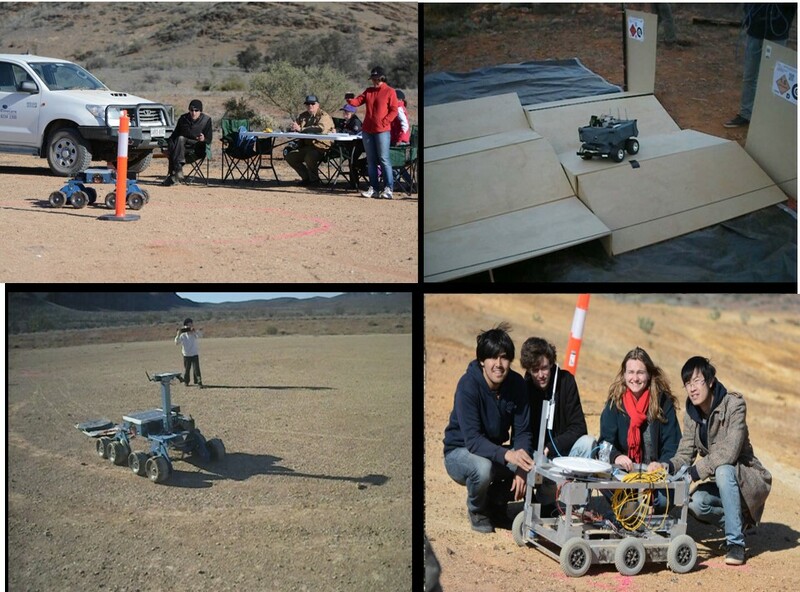 Hobbs, S., Clarke, J., Mann, G., (2015),Field Testing Marsobot, a Mars Society Australia Robotics Project.,In: Australian Space Research Conference. Small, N., Mann, G., Lee, K., (2013),Goal Accomplishment Tracking for Automatic Supervision of Plan Execution,In: Australasian Conference on Robotics and Automation (ACRA). 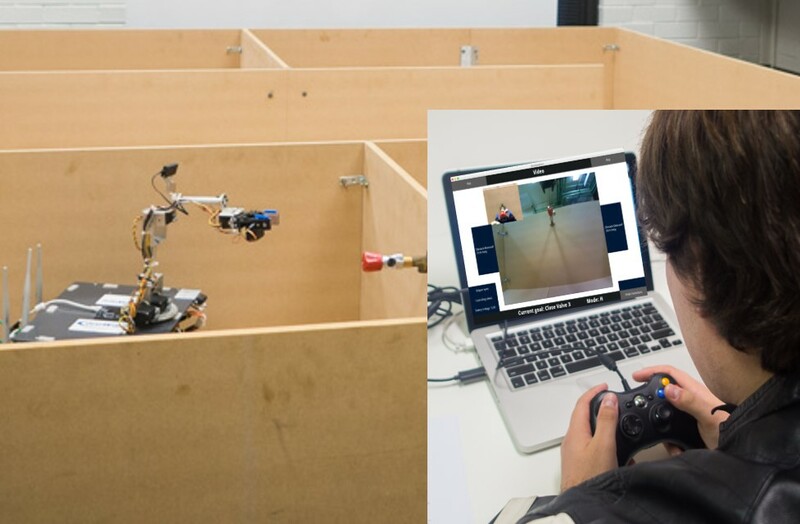 Mann, G., Small, N., (2012),Opportunities for Enhanced Robot Control Along the Adjustable Autonomy Scale,In: 5th International Human System Interaction Conference. Mann, G., Bhamik, A., (2011),A Hexapodal Robot for Maintenance Operations at a Future Mars Base,In: 11th Australian Mars Exploration Conference (AMEC) (2011). Mann, G., (2010),A Machine That Daydreams,In: 2nd International Federation for Information Processing (IFIP) Entertainment Computing Symposium (ECS) (2010). Clarke, J., Mann, G., Willson, D., (2008),Crewed Vehicles for Mars Exploration - A Potential User's Guide,In: 8th Australian Mars Exploration Conference (AMEC) (2008). Mann, G., (2008),Quantitative Evaluation of Human-Robot Options for Maintenance Tasks during Analogue Surface Operations,In: 8th Australian Mars Exploration Conference (AMEC) (2008). Boddington, R., Hobbs, V., Mann, G., (2008),Validating digital evidence for legal argument,In: 6th Australian Digital Forensics Conference (2008). Mann, G., Bernsteins, I., (2007),Digital television, Personal Video Recorders and Convergence in the Australian Home,In: 2nd International Conference on Digital Interactive Media in Entertainment and Arts (DIMEA) (2007). Mann, G., (2007),The Low Cost Manufacture of High Technology Machines,In: 7th Australian Mars Exploration Conference (AMEC) (2007). Mann, G., (2005),Mars Exploration Mobility within Safety Constraints,In: 5th Australian Mars Exploration Conference (AMEC) (2005). Mann, G., (2005),A Practical Astronautical Laboratory at an Australian Secondary School,In: 5th National Space Society of Australia (NSSA) Australian Space Science Conference (ASSC) (2005). Lamont, O., Mann, G., (2005),Generalising Power of a Learned Hierarchical Hidden Markov Model,In: 8th IASTED International Conference on Intelligent Systems and Control. Mann, G., (2004),Trials and Tribulations of the Starchaser Marsupial Rover,In: 4th Australian Mars Exploration Conference (AMEC) (2004). 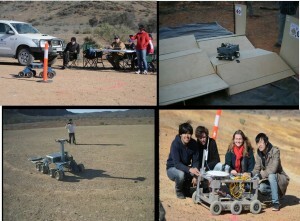 Mann, G., Clarke, J., (2004),First Comparative Field Test of Pressurised Rover Prototypes,In: 11th Australian Mars Exploration Conference (AMEC) (2011). Mann, G., Lamont, O., (2003),A Unified Stochastic Architecture for Spoken Dialogue Systems,In: 16th Australian Conference on Artificial Intelligence. Clarke, J., Mann, G., (2002),Jarntimarra-1: Selecting an Australian Mars Analogue Research Site,In: The 2nd Australian Mars Exploration Conference. Mann, G., (2002),Design, construction and operations plan for the Marsupial rover,In: The 2nd Australian Mars Exploration Conference.